A Vietnamese cargo ship ploughed into riverside houses along the Chao Phraya River in Phra Pradaeng district, south of Bangkok on Wednesday morning, damaging three homes. The Star 62 ran aground at Phra Pradaeng pier off Sri Nakhon Khuean Khan road in tambon Talad around 8.30am LT, police said. Residents fled to the streets in panic as the cargo ship loomed over them. Three houses were damaged, one badly, but nobody was injured. Ms Bussaba, owner of one of the damaged houses, told police she was resting inside her home and heard a loud noise coming from the middle of the river. She turned to look and was terrified to see a large cargo ship bearing down on her house. She fled in fear and just seconds later the vessel’s bow rammed into her home. Neighbours also run out into the street in panic. Previously, a cargo ship had run into a pier opposite her house, she said. It was less dramatic and nobody was hurt then. Samut Prakan marine and local officials were inspecting the ship and the damaged houses. 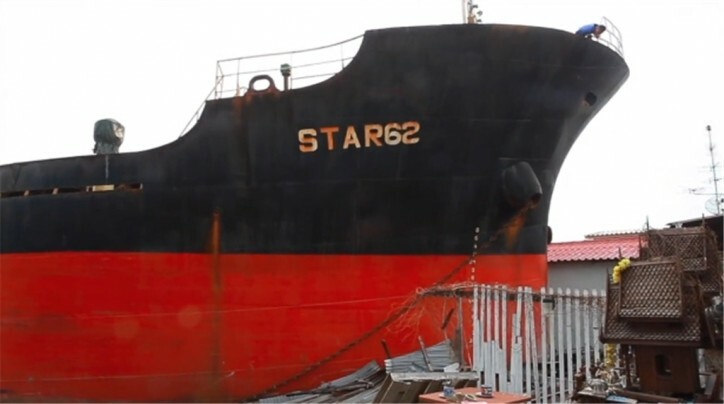 Investigators said the Star 62 was returning to Vietnam after unloading cargo. A steering gear failure caused it to veer into the riverbank. The ship’s captain and crew members were taken to the Phra Pradaeng police station for questioning. Authorities were contacting the ship’s insurance firm to arrange an inspection and cover the cost of the damage caused to the houses. 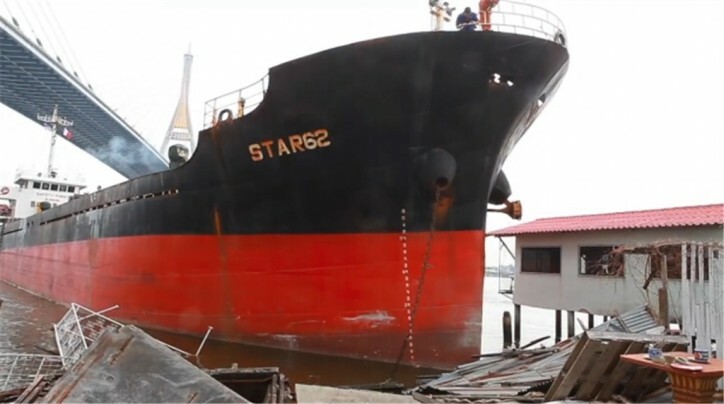 The Star 62 is a 72-meters-long general cargo ship registered in Vietnam. Her gross tonnage is 1599 and deadweight is 3093. Police investigators said later in the day that the Star 62 had been moored at pier No21b in tambon Bang Yor of Phra Pradaeng district since last week. It had finally loaded a cargo of agricultural products and departed on Wednesday morning for Singapore with Ekjirawut Muensri as ship’s pilot. When the ship arrived at the Bhumibol Bridge in Phra Pradaeng district the steering system malfunctioned. This had led to it running aground.